Tane, one of the premier assassins in the city of Arbin, wakes one morning to find his lover Lucinda, daughter of a high-ranking noble, murdered. 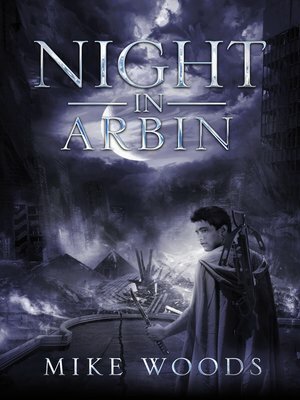 Grieved and outraged, he begins asking dangerous questions – and learns that life in Arbin is about to descend into chaos. As he tries to outrun the memory of Lucinda, and the people who are trying to kill him, Tane finds himself face to face with a mage-assassin and a web of intrigue and corruption that could shake the very foundations of his beloved city. The assassins' guild is at war. Meanwhile, the cry of war from Arbin&apos;s northern overlords is ringing through the streets, but the city has its own invasion to deal with – a mysterious grey-robed order of priests. As he learns more, Tane finds that not only are they at war, but the nobles have infiltrated the assassins' guild – the only family Tane has ever known. With a little luck, Tane will be able to thwart the dark figures hunting him at every turn and unravel this tangled web before Arbin falls to ruin. The problem is, Tane doesn't believe in luck.